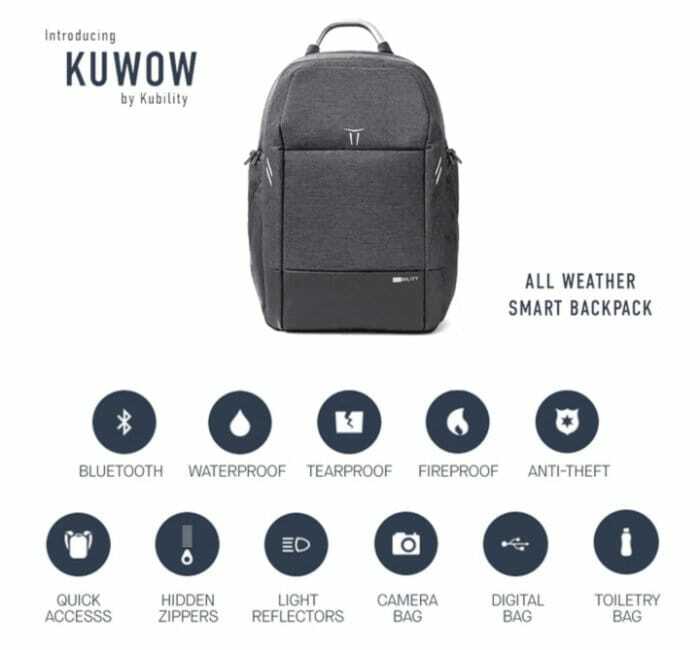 Anyone searching for a new everyday backpack might be interested in the new KUWOW developed by the team at Kubility. 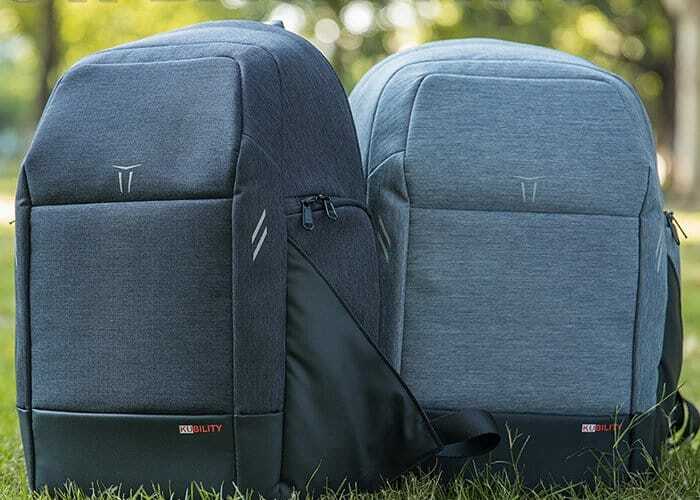 The new backpack offers a waterproof, tear proof, flame retardant antitheft everyday smart backpack which is now available to early bird backers from just £72 or $99 depending on your location. If all goes well in the crowdfunding campaign is successful backers can expect to receive their backpack during July 2018. Watch the video below to learn more about its design functions and features. Equipped with smart features such as Bluetooth connectivity, combination lock heat resistant material plenty of internal pockets and pouches to keep your gadgets and accessories safe, the KUWOW could be the perfect gadget bag. – Anti-theft locks and GPS tracking capabilities. – You can use it rain or shine without any coverings! – Many pockets to fit all your stuff! – Never lose your backpack. Track its location with the NUT App. – Secure locks, Waterproof, Tearproof, and Flame Retardant! – Be seen in the dark with special night reflectors on your backpack. – Quick access to ID, keys, glasses, earbuds, and more! 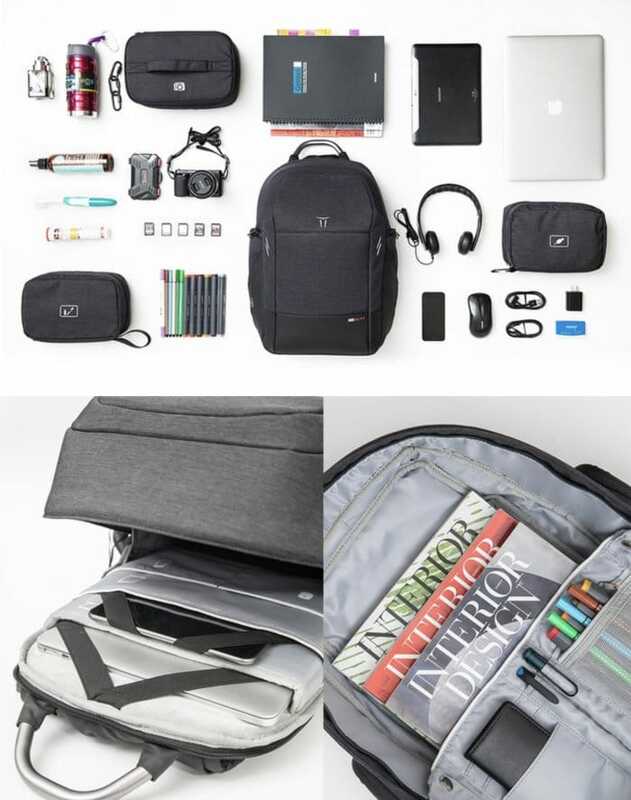 – Some rewards include Camera Bag, Digital Bag, and Toiletry Bag. For more information and a full list of all available pledges and options jump over to the official Kickstarter crowdfunding campaign page by following the link below.